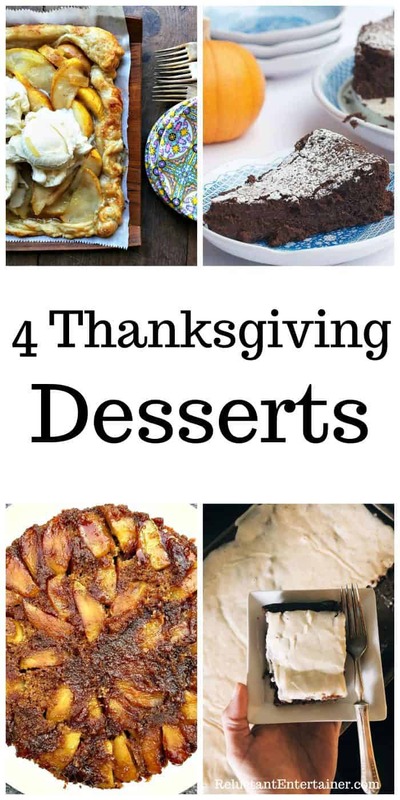 Today, I’ve gathered 4 Thanksgiving Desserts recipes into one location so you can easily choose which one you’d like to make for Thanksgiving. Delicious for last-minute company! WATCH THE VIDEO! Friends, I hope you’re taking the time to savor the season with your family and friends, with delicious food and beautiful memories this week! 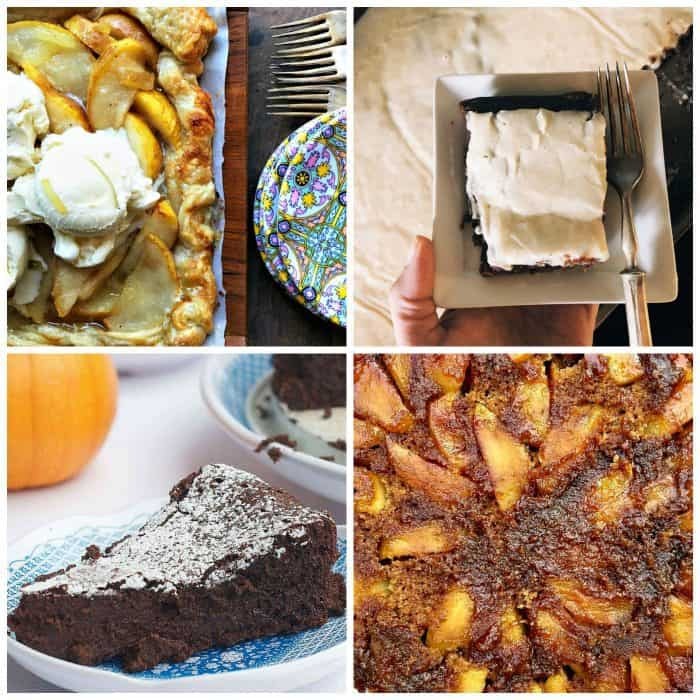 Today I’m sharing 4 Thanksgiving Desserts that you can make last-minute, because I bet you have most ingredients already stocked in your pantry. Just add in some pears and apples and spices and you’re good to go! I will admit that Thanksgiving desserts are my very favorite desserts to make, because I just love pears and apples and pumpkin. 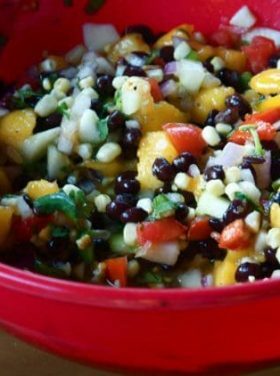 These are so easy to prepare and everyone just loves them! Over the years, we’ve mixed up the desserts at our feast – sometimes I’ll ask guests to bring pies, and I make a few of my favorite recipes. 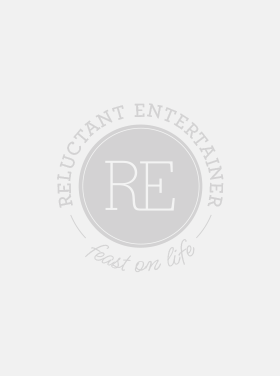 Pear Puff Pastry Dessert Recipe is a delicious treat for the holidays. 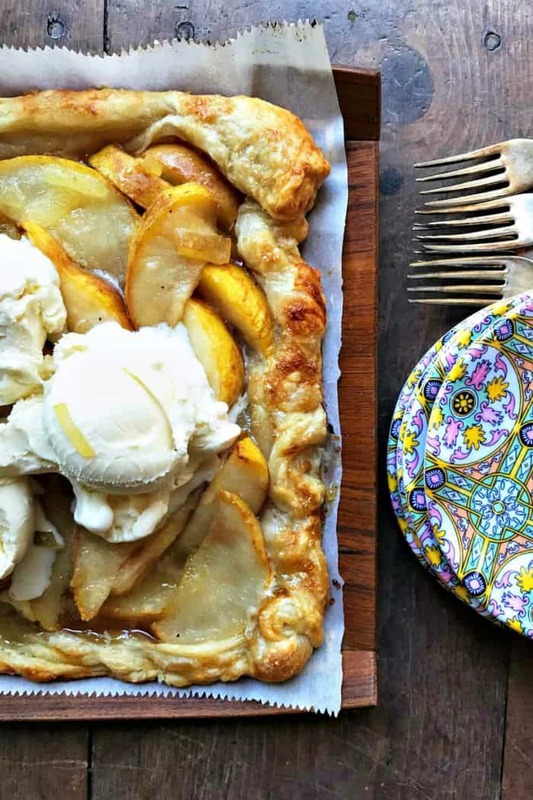 Made with Royal Riviera pears (or you can use your favorite pears) and puff pastry, serve warm with vanilla ice cream! You can click over and watch the video! Salted Caramel Apple Cake is a wholesome cake, with big chunks of apples and a touch of Sea salt. 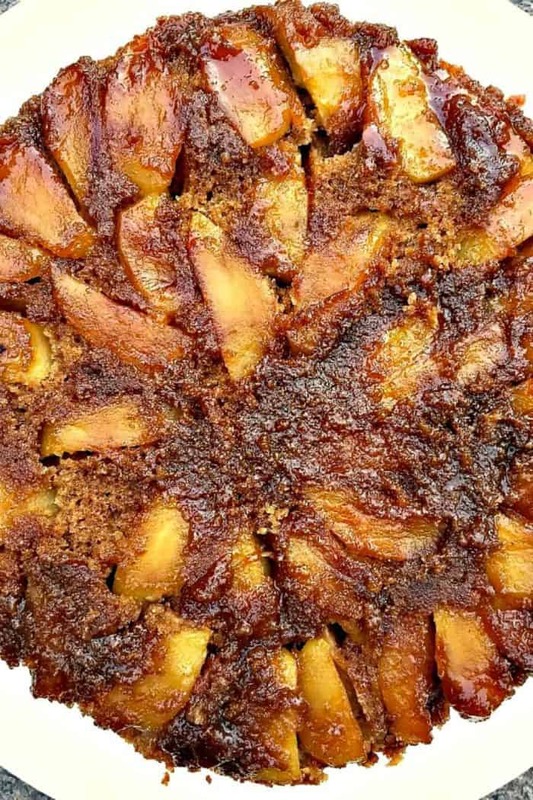 If you’re looking to make an upside down cake (I have quite the variety to choose from), then this moist Salted Caramel Apple Cake recipe is for you. It’s a delicious dessert (with a hint of maple syrup) served warm, topped with fresh whipped cream! You can also watch the video if you click over. This flourless cake makes me think of all my chocolate-loving friends, so I hope you enjoy this Pumpkin Spice Flourless Chocolate Cake recipe! 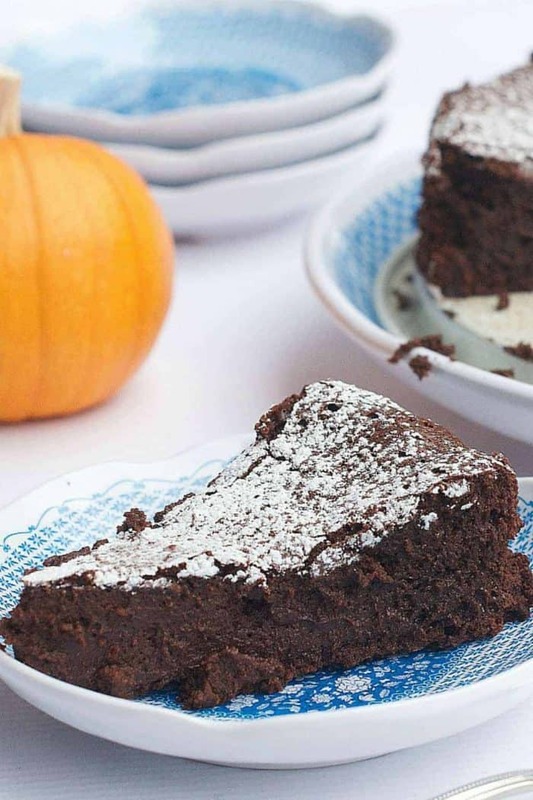 Lastly, another non-pie recipe, enjoy this Pumpkin Chocolate Texas Sheet Cake Recipe! 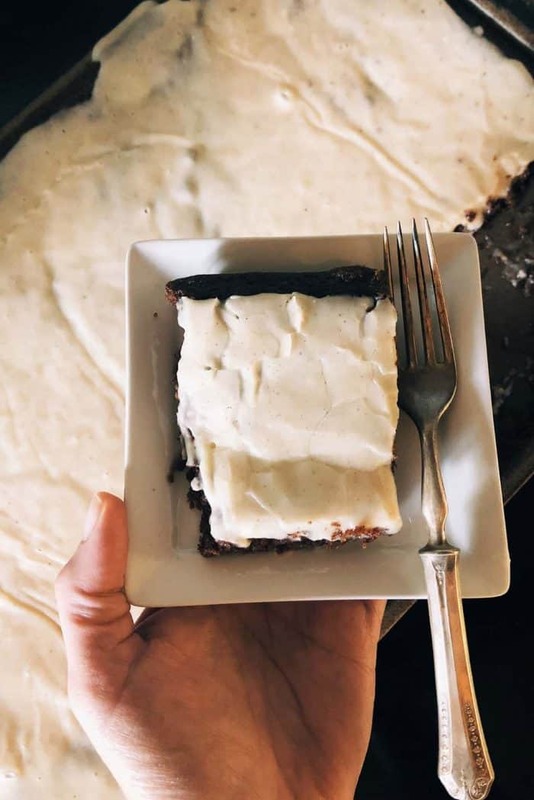 It’s a classic chocolate sheet cake that everyone loves, and feeds a lot of guests! A standard “chocolate Texas sheet cake” with added pumpkin spice, makes a lovely addition to your holiday menu this year. Oh, and don’t forget the gelatro or ice cream! For the apple and pear desserts, whipped cream is the BEST! 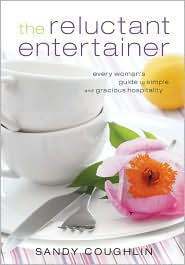 Some of my friends have great desserts, too. You can try: Chocolate Chip Pumpkin Spice Bars [Recipe Girl], Upside-Down Apple Pecan Pie [TidyMom].